Imagine you are planning an event – it could be a small event for your church or a national conference. No matter what size the event you want to hold, you need a speaker. You google empowerment speakers and a huge lists of names show up. You refine your search to empowerment speakers Minnesota (or whatever city you need) and get a somewhat smaller list. However you refine your search, you still need to do your due diligence to decide which speakers to call or suggest to your event planning committee. That PDF, known as a speaker one sheet, makes it easy for event planners and committees to access what they need to add you to their list of potential speakers. Questions about one sheet templates, resources, and what to include are common in every speaker group that I am a part of. Those new to speaking don’t know that they need one, and most experienced (and booked) speakers have one ready and accessible from their site. If you don’t have one, it may be a sign that you are a newbie. I’ve put together a brief list of resources and sites to give you a jumpstart on how to create your own speaker one sheet so you can start making more money with your message. This is a great resource by Profit Beyond the Book Telesummit presenter Alicia White who is also the founder of Back of the Room Productions.com. There’s also a DIY package for creating your own speaker one sheet. Do you help speakers create bankable one sheets or have a resource to share? Leave a comment below so readers know where to find you and get help with their one sheet. Thank you so much for featuring my design for Deri Latimer 🙂 I loved working on this piece. Thank you for listing those resources. 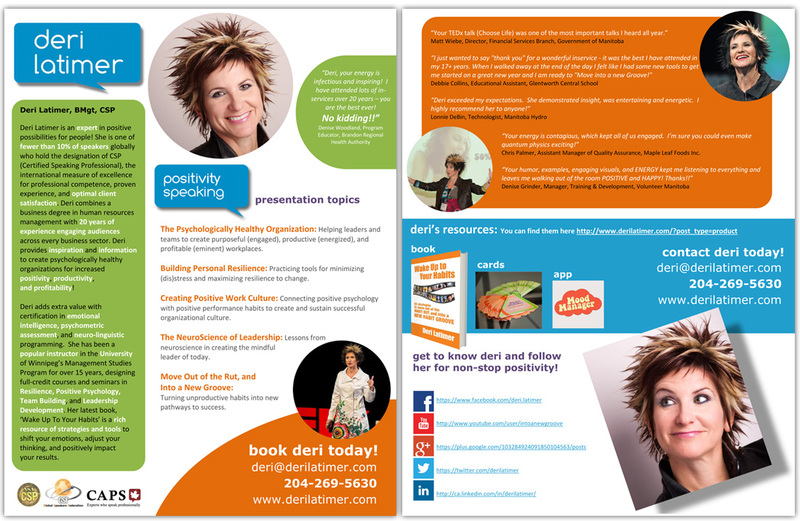 I have worked with a few authors to create speaker one sheet. One thing I would suggest is to include just the essential information that an event host might need. Don’t clutter it with too much information.